So I know that I haven't been the greatest at keeping up on the blog this past year. I have good reasons - we sold our house, moved to to an apartment, bought another house and moved all in the span of 6 months. Plus w/ deadlines and trying to get more fine art time in the studio - updates here have not been a priority for me. BUT I did want to let you know that I have some awesome news on the fine art front. 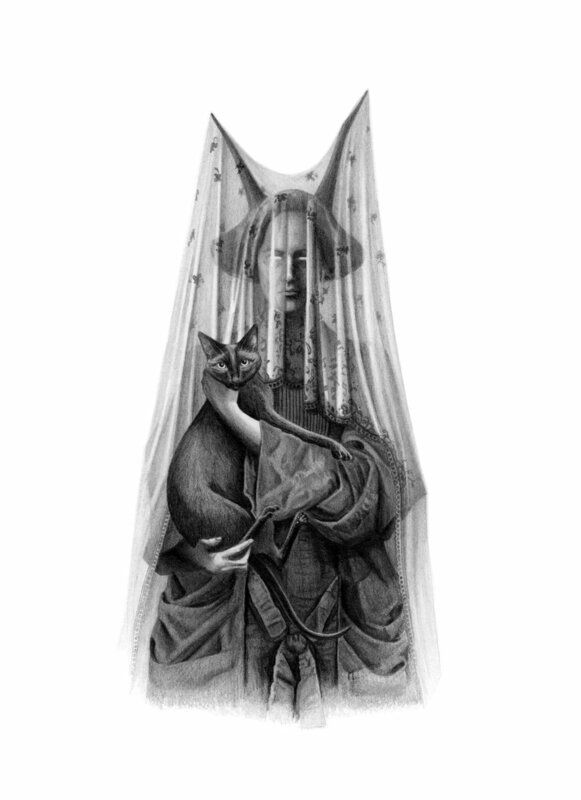 This Saturday is the opening of CULT OF MEOW at Gristle Art Gallery in Brooklyn. It is an art show celebrating all things cat. My spooky piece, "Familiar", will be on display along with an epic lineup of other artists. I will be at the reception which is 7-9 pm at the gallery this Saturday the 9th. Cult of Meow runs from September 9th until late October so if you are in NYC go and check it out! NEXT UP: I will have 5 of my original CARNIVORE pieces on view and for sale as part of a group show in conjunction with the opening of ORIGINS at Parlor Gallery in Asbury Park, NJ, on September 16th. I will also be at that opening, so stop in and say hello if you are able to. FINALLY: I'm excited to be a part of Modern Eden Gallery's group show "Familiar" - which will run November 3rd through December 1st. I'm in the early stages of planning a brand new piece for this opening and my mind is swirling with new ideas for such a great topic. I love mystery, history, folklore and all things magical so this is totally up my alley. Stay tuned for sneak peeks! Anyway, have a spectacular September - onto Autumn!